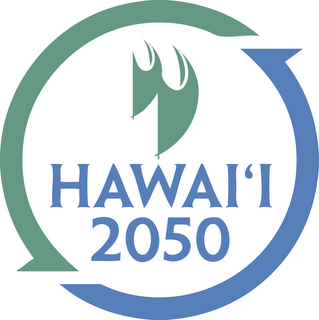 The Hawaii 2050 Sustainability Task Force was created to answer the following questions: What do the people of Hawai‘i want for the future of our islands in the 21st century? What is the community’s will for the future of our economy, society and environment? What steps can we take now to achieve that preferred future for our children and their children? In 2005, the Hawai‘i State Legislature sought answers about the long-term future of our state. In the past, state leaders and decision makers have been ably guided in these matters by the Hawai‘i State Plan. But with a new century comes a new generation, new opportunities and new challenges. A new plan is needed. In response, the Legislature created the Hawai‘i 2050 Sustainability Task Force, a group of twenty-five citizens with a diverse range of experience in planning, community, business, the environment and government. They were charged with developing the Hawai‘i 2050 Sustainability Plan, the state’s first long-range plan in 30 years. In creating the plan, the Task Force placed the wisdom of our communities first. The Task Force initiated and implemented one of the most comprehensive and inclusive planning processes in our state’s history. The plan development was supported by the Department of Social Sciences at the University of Hawaii. This entry was posted in Architecture, Climate Change, Conservation, Education, Energy, Food, News, Policy, Recycling, Research, Water. Bookmark the permalink.